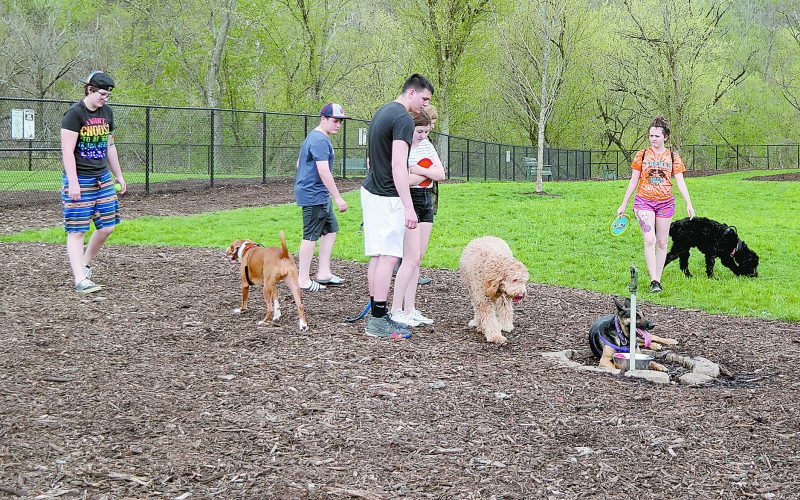 WHEELING — Several exhibits have been added or renovated at the Oglebay Good Zoo this year, which zoo officials said will enhance visitors’ overall experience and make living spaces more comfortable for the animals. 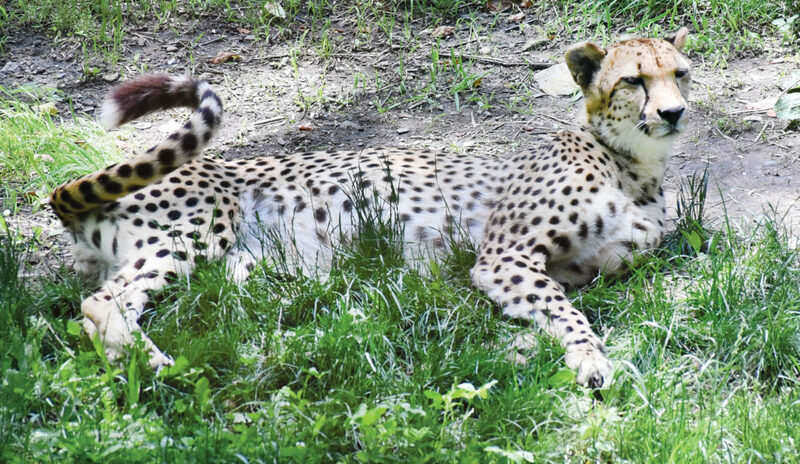 Snow leopards, a radiated tortoise and mountain goats are just a few of the new animals and reptiles visitors can expect to see while hiking along zoo paths this summer. The newest exhibit offered at the zoo is the addition of the snow leopard exhibit located near the barn area at the rear of the zoo. The snow leopard is a large cat native to the mountain ranges of Central and South Asia. The exhibit was built a bit larger to provide the leopard with a more optimal living space, said zoo Director Joe Greathouse. Zoo officials also enlarged the Outback Exhibit with the addition of the emu exhibit. Greathouse said it made sense for the zoo to build this exhibit in the Outback section of the zoo next to the kangaroo exhibit. He said in addition to giving the animals more space, the zoo strives to add more perches and high boxes for the animals to move in and out of in an effort to keep them more comfortable. Also new is the African radiated tortoise exhibit near the wetlands section of the zoo. Greathouse said the zoo is in the process of trying to fill the open spaces between the old exhibits in the zoo with new exhibits similar to the tortoise space to keep the walk through the zoo a more overall compelling experience for visitors. In addition, Greathouse said zookeepers decided to move the red panda exhibit to a larger area at the main building. “We expanded our red panda habitats to include two indoor habitats and one outdoor habitat,” Greathouse said. He said this provides not only a larger space for the animals to move around, but also gives them the option of staying in an air conditioned space if the outside temperatures are too hot. “Because they prefer to be inside if it gets over 80 degrees,” he said. The inside section of the red panda exhibit is where the old train display use to be. Work crews still are in the process of constructing the outside space for the exhibit, which is expected to be completed by the end of next week. Other exhibits added to the rear of the zoo this spring was the cheetah and Central Chinese Gorals (or mountain goat) exhibits.